Focus On the Video with "Turn Off the Lights"
With the use of the “Turn Off the Lights” extension the whole screen can be dimmed except for the player. 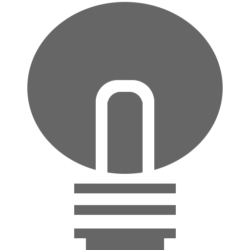 Following the downloading of the extension, a lamp icon will appear on the browser tool bar or address bar. By clicking on the icon the user can fade the screen area surrounding the video. The screen can be restored by clicking outside the player. The extension offers flexibility by giving the user the option to adjust the opacity of the screen dimmer and the color. The “Turn Off the Lights” extension can also be automated in order to dim the screen without the intervention of the user. A range of YouTube specific features is also available in the extension, while keyboard shortcuts make way for quick access to the program’s services. “Turn Off the Lights” extension is available as a plugin for Internet Explorer, Mozilla Firefox, Google Chrome, Opera, Apple Safari, Maxthon and Yandex Browsers and as a bookmark on other browsers. Download “Turn Off the Lights” and experience a more comfortable and a pleasant viewing experience with minimum distractions.